In the Oktoberfest season, addition to the beer, the roast chicken and a delicious pretzel, one thing should not be missing: the right outfit. 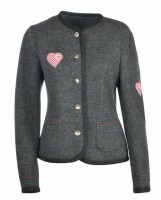 Exciting Dirndl with beautiful details and a matching warm Trachten jacket for cooler evenings! 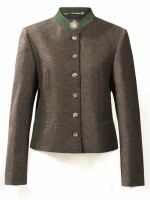 Trachten jackets for women made of cotton, linen, wool & Co.
Our numerous Trachten jackets are made of a variety of materials. In our shop you’ll find models made of genuine leather or imitation leather, jeans or even fleece or knitwear - the selection is huge! In addition, there are Dirndl jackets in our assortment, in which different materials are combined with each other to set great accents. For the colder days, you should especially gravitate towards warming fleece, walk or lined models. These fabrics can also be easily washed in the washing machine. In our online shop you will not only find many different materials, but also charming Trachten jackets for women in many beautiful designs. Simple and elegant designs meet cheeky and stylish jackets, which become the absolute highlight of the outfit and underline your dream Dirndl. In terms of design, there are no limits to your imagination and your creativity. We have monochrome models in a chic gray, rather daring ones with playful patterns or ones in bright and vibrant colors - the matching traditional jacket can set wonderful accents. Browse through our shop and choose your personal favorite model! Trachten jackets are not only a popular piece of clothing at the annual Oktoberfest or other alpine events and can be perfectly combined with a Dirndl. They are also suitable for many other occasions. 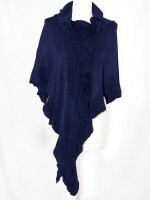 In the spare time, the various designs can be optimally combined with jeans, skirts, a cute knit dress, shirts and more. Get creative and make it your everyday companion! In particular, the colorful variants are now perfectly suited to give your outfit a highlight. In classy occasions, the elegant variations are especially good. How about, for example, a short-cut jacket with lace matching the evening dress? 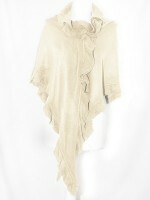 Velvet or silk traditional jackets are also suitable for business lunches, weddings or other celebrations. On which occasions will you wear your Dirndl jacket in the future? Do you have any materials that you particularly like? 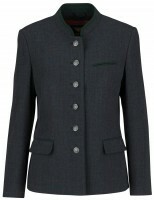 Should the traditional jacket emphasize the figure? Should the traditional jacket be colorful or plain? With the help of our different filter options, you can have your desired traditional costume jacket specifically displayed and add it to your shopping cart in the twinkling of an eye!